The city of Chattanooga, Tennessee is in a state of shock. On Thursday, a heavily armed Islamic terrorist sprayed a Navy and Marine reserve center in Chattanooga with gunfire without any warning. Four U.S. Marines were killed, and three other individuals were seriously wounded. 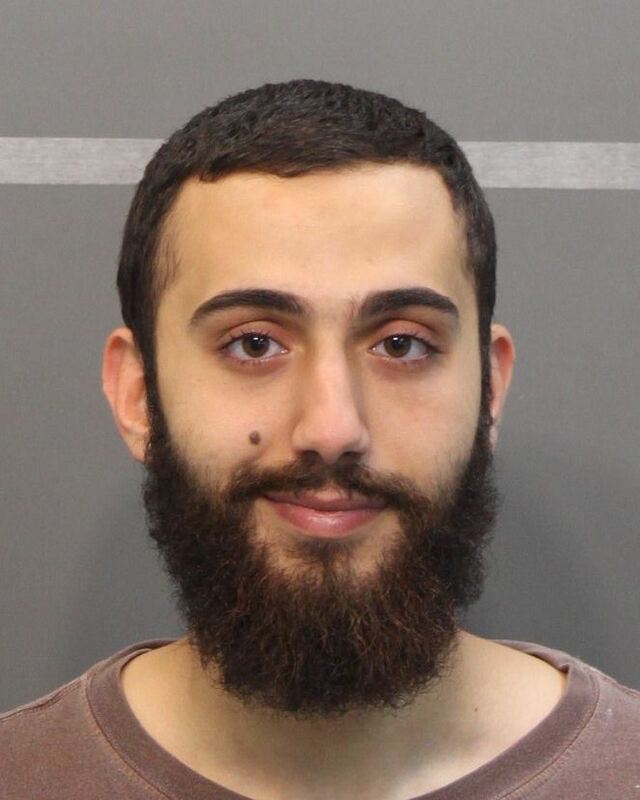 The shooter has been identified as Muhammad Youssef Abdulazeez, and it is being reported that he used a “high-powered rifle” to conduct the assault. He did not survive the attack, and it is not clear if he even intended to. Authorities are investigating whether or not he had any connection to ISIS (which he almost certainly did), but nobody is disputing the fact that he was Muslim. Hopefully this horrific incident will serve as a huge wake up call for millions of Americans. Islamic terrorists are already here – and this is just the beginning of their reign of terror on U.S. soil. It is still a question that I am asking today. ISIS has made it very clear that they plan to kill as many of us as they possibly can. But most Americans seem very apathetic about this. Perhaps it is because they have been hearing about what a “threat” that “al-Qaeda” was for so many years and yet nothing ever seemed to actually happen. And of course there are many liberals that have been trained that it is politically incorrect to even use the phrase “Islamic terror”. Following the lead of Barack Obama, Hillary Clinton and other radical leftists, the only “terrorists” that they want to talk about are the “right-wing extremists” that they take great joy in persecuting. Today’s shooting will hopefully shake many Americans out of their politically-induced comas. The threat of Islamic terror inside the United States is greater than it has ever been before. All that “al-Qaeda” ever seemed to do was hide out in caves and release a poorly crafted propaganda message every once in a while. ISIS, on the other hand, is an entirely different animal. Every single day they are publicly committing some of the most vile atrocities imaginable, and they are successfully fighting a three front war against the Syrian government, the Iraqi government and the Kurds. Meanwhile, Islamic groups all over the planet are swearing allegiance to them, and their ranks are being swelled by an endless influx of eager new recruits. Just today, a group affiliated with ISIS in Egypt hit an Egyptian Navy frigate with a guided missile. The reach and capabilities of this ruthless terror organization are both continually expanding, and what we just witnessed in Chattanooga today is just the tip of the iceberg. So was Muhammad Youssef Abdulazeez actually a member of ISIS? The Twitter account, created just yesterday, appears to have sent out a tweet before Muhammad Youssef Abulazeez was identified as the shooter stating that “American dogs” would see “wonders” with hashtags including Chattanooga, USA and ISIS. The tweet’s timestamp shows it was sent at 10:34 a.m. Eastern, which is about the same time the shooting began and before it had been reported on social or traditional media. As ISIS grows, there are going to be more attacks like this. The Islamic State in Iraq and Syria has ramped up its activities in Southeast Asia so effectively that there is now an entire military unit of terrorists recruited from Indonesia, Malaysia and Singapore, according to Singapore’s prime minister. “Southeast Asia is a key recruitment center for ISIS,” Prime Minister Lee Hsien Loong said at the Shangri-La Dialogue here in Singapore Friday. He noted that this included more than 500 Indonesians and dozens of Malaysians. “ISIS has so many Indonesian and Malaysia fighters that they form a unit by themselves — the Katibah Nusantara — Malay Archipelago Combat Unit,” he added. In a dramatic assessment of the domestic threat posed by the Islamic State, FBI Director James Comey said Thursday there are “hundreds, maybe thousands” of people across the country who are receiving recruitment overtures from the terrorist group or directives to attack the U.S.
Perhaps you are reading this and you are still skeptical. If so, I hope that you will wake up. Al-Qaeda was a complete and utter joke compared to these guys. They are the real deal, and if they had the opportunity, they would kill you and your entire family without even thinking twice about it. In fact, if the leaders of ISIS could press a button and wipe our entire country off the map, they would do it without any hesitation. If ISIS is able to get their hands on weapons of mass destruction and is able to get those weapons inside the United States, they will use them. So what happened today in Chattanooga is just the beginning. The kinds of Islamic terror attacks that we are going to see on U.S. soil in the years ahead are going to be far, far more horrifying than this.